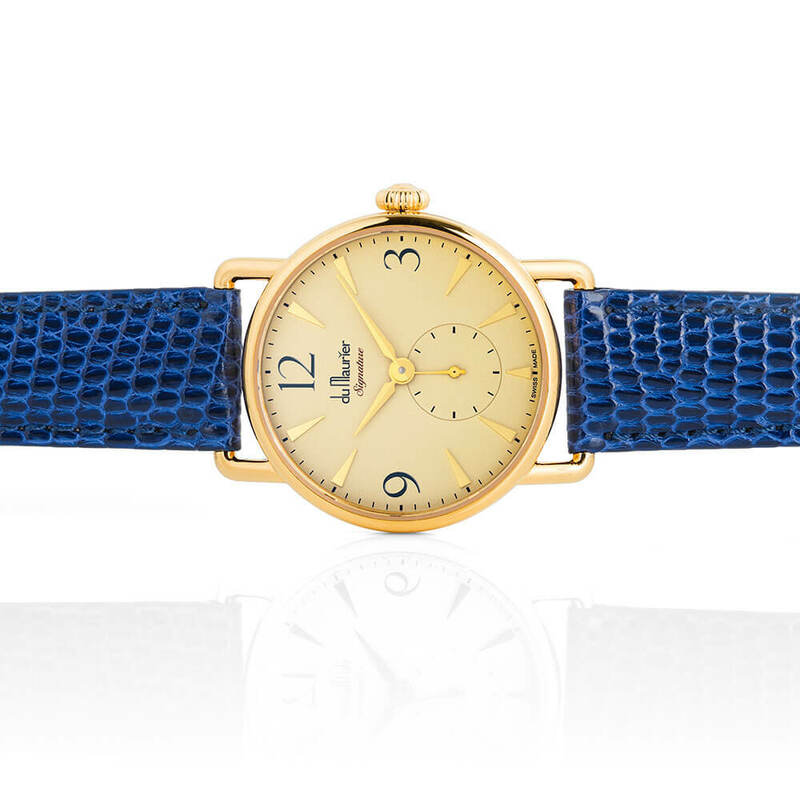 Simple, elegant, classically beautiful, just like the lady herself. 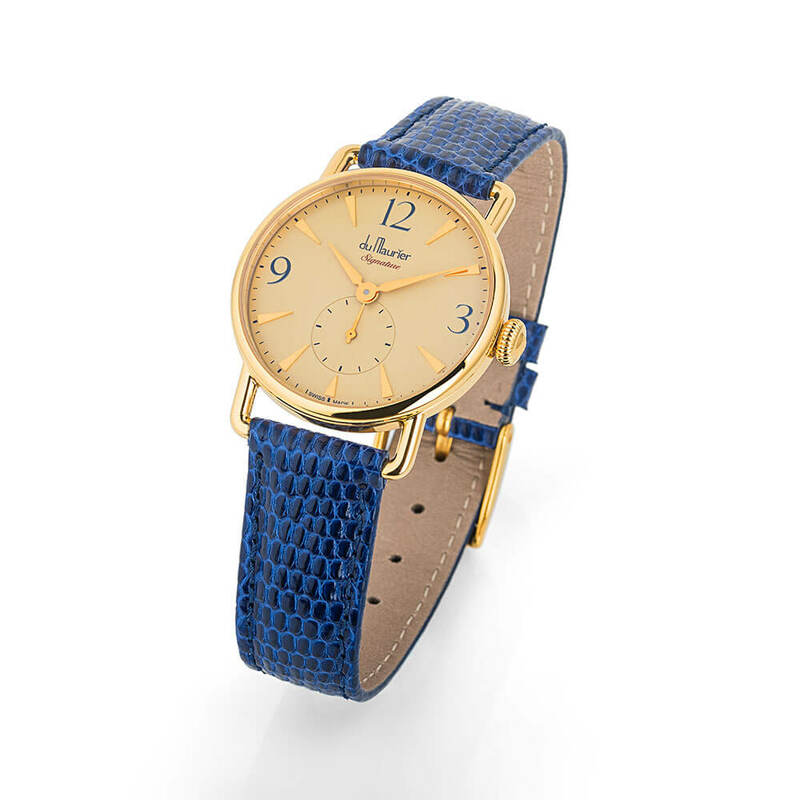 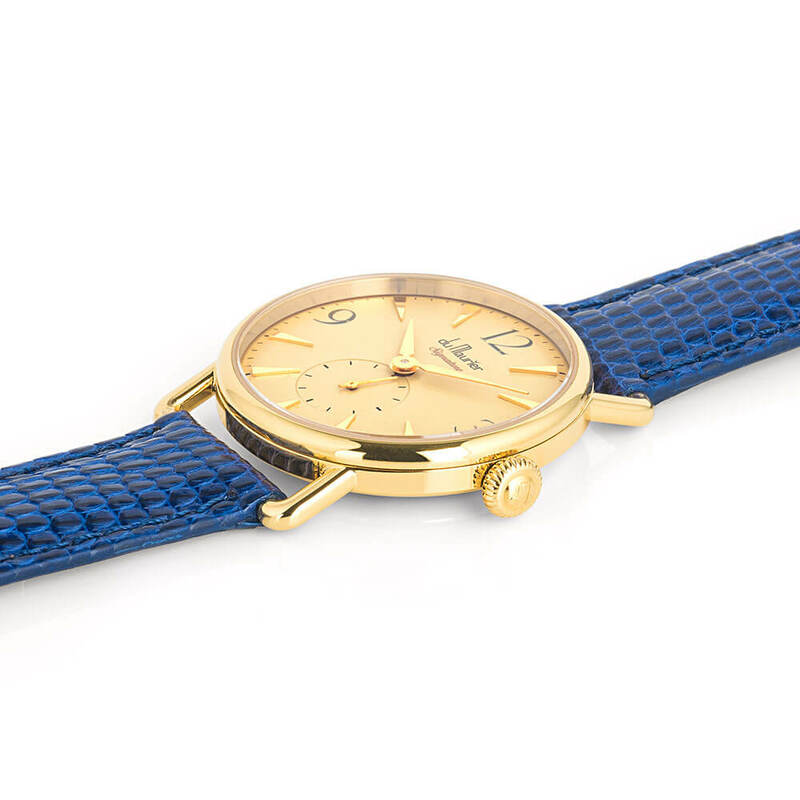 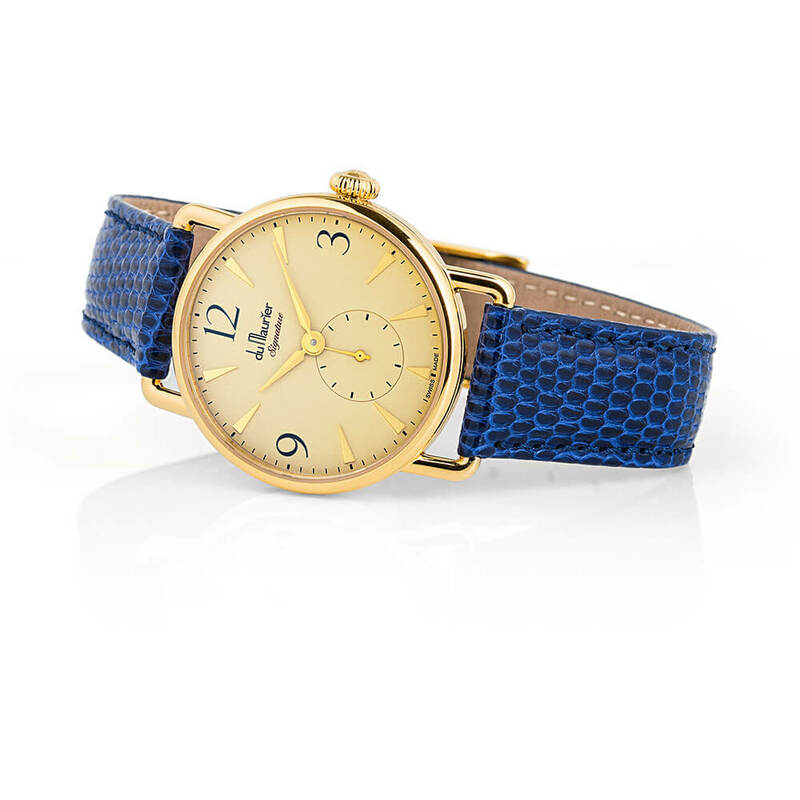 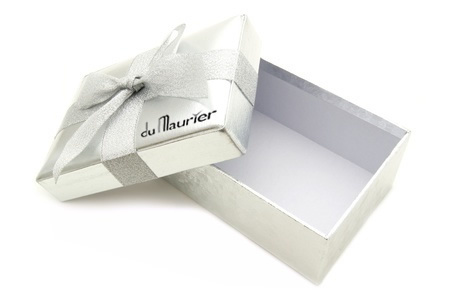 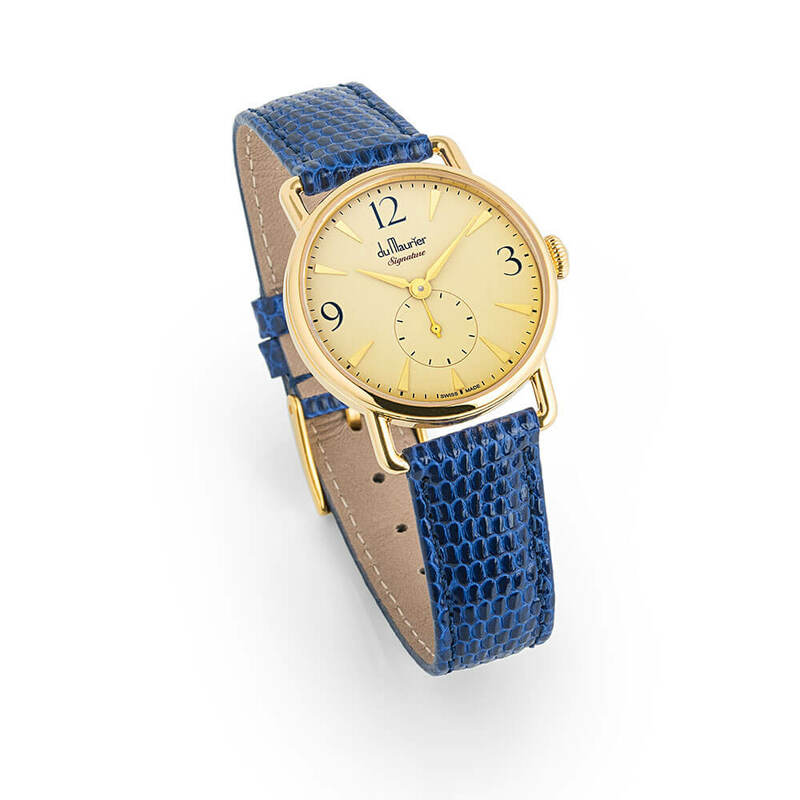 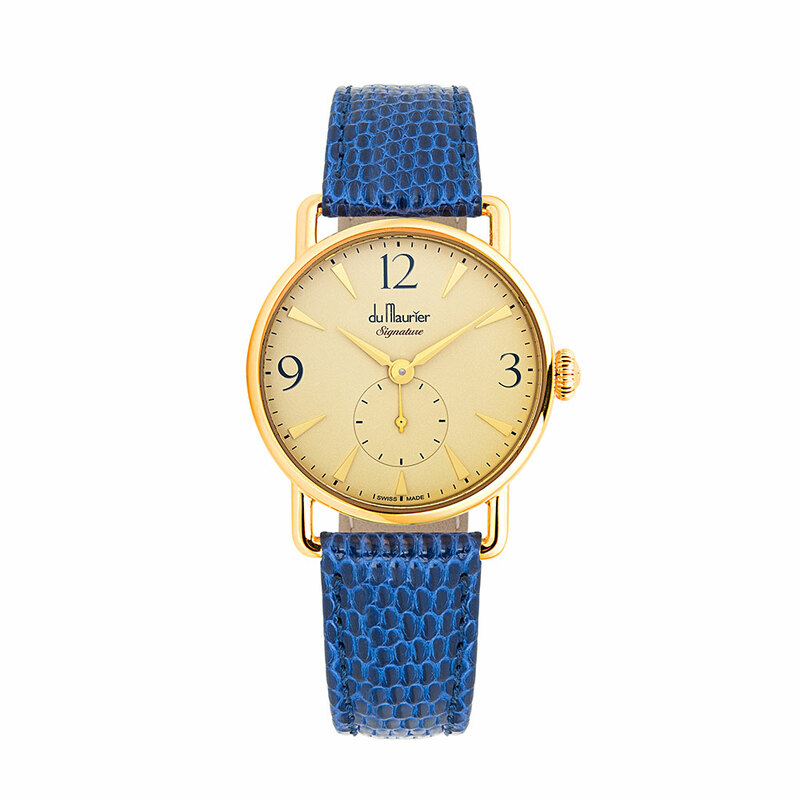 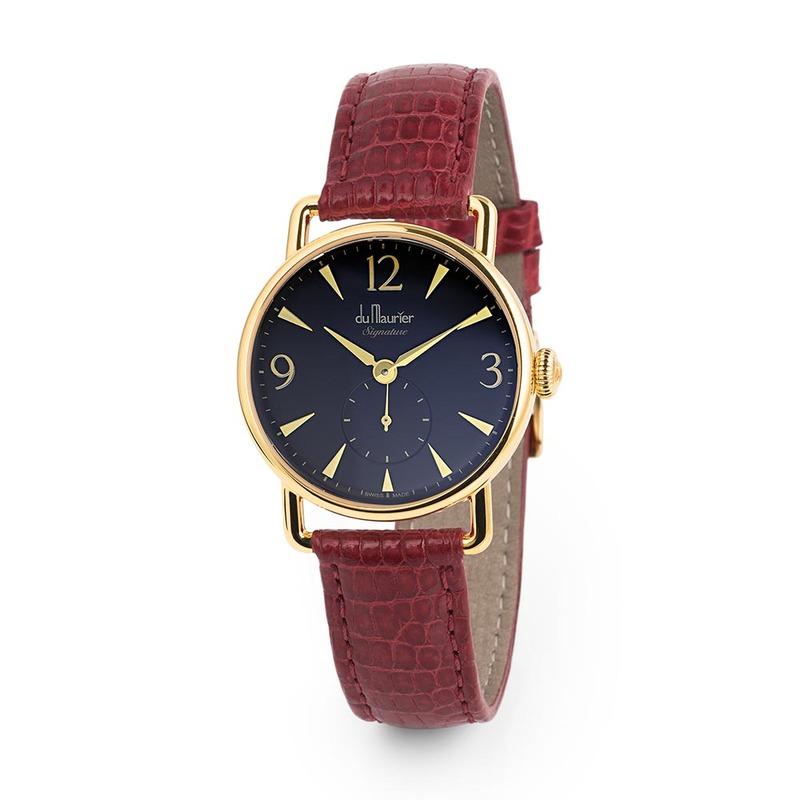 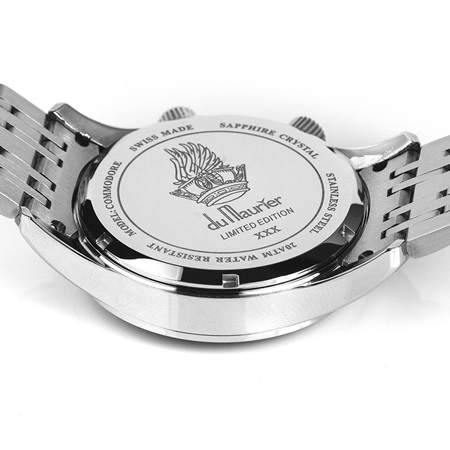 Inspired by a literary legend, Du Maurier Watches has created the Daphne Signature. 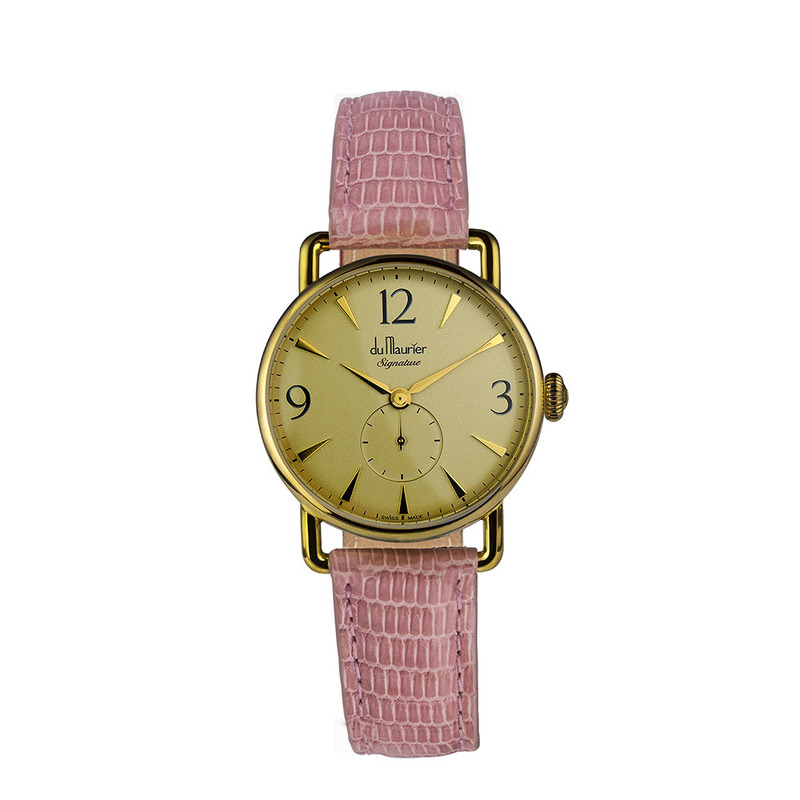 This watch has been designed to embody the character and personality of one of the UK’s best loved authors, Daphne du Maurier. 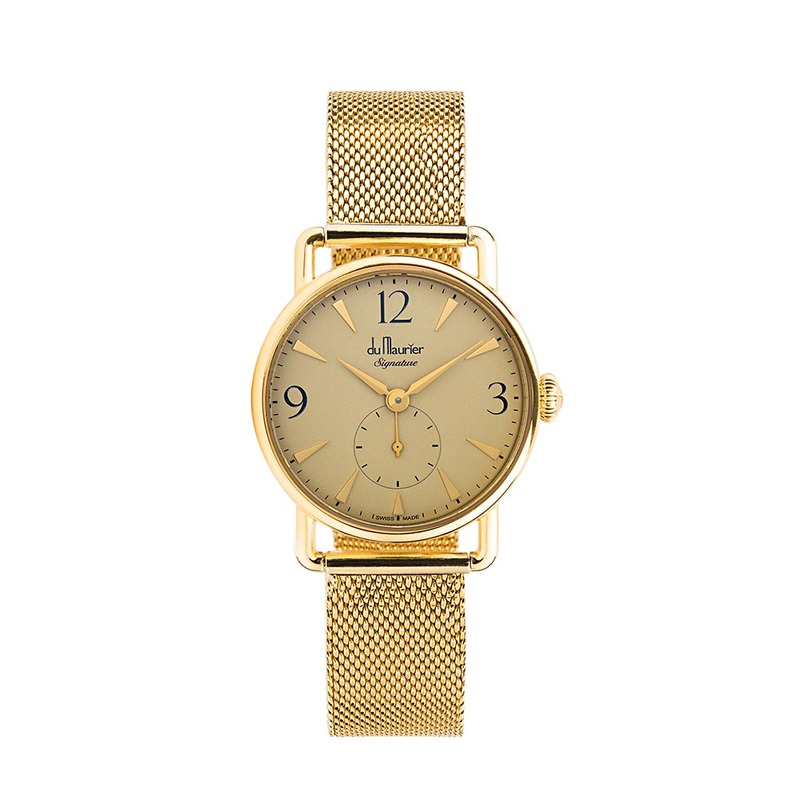 The watch takes design notes from the 40s and 50s featuring a vintage style, antique-gold dial with gold index markers and elegant, lancette hands. 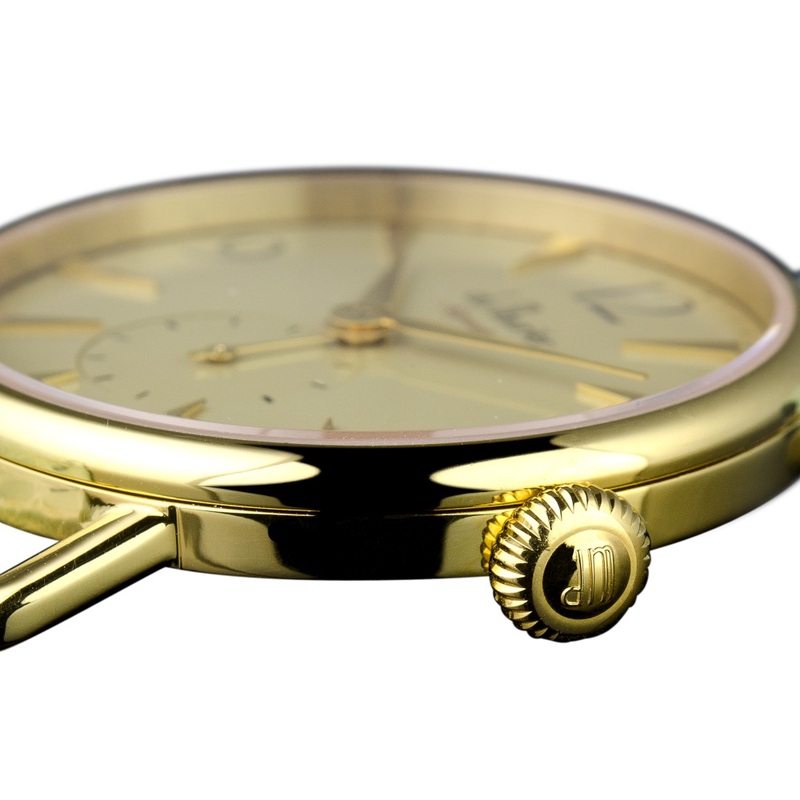 The small second hand sits perfectly balanced on the curved dial, covered with domed sapphire glass and all enclosed in a neat 32mm gold case. 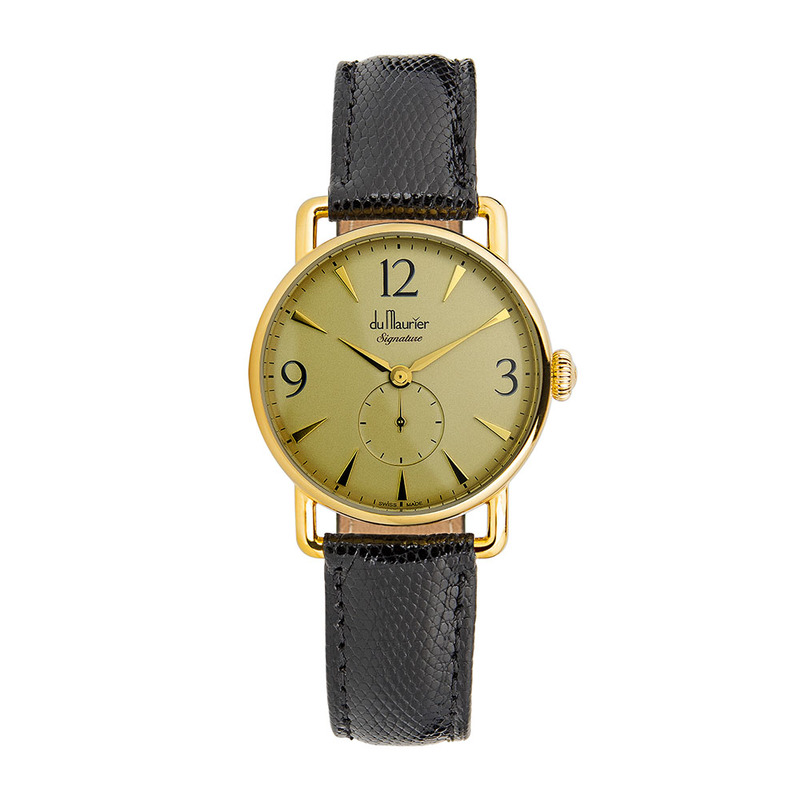 The delicate onion crown and smart wire lugs contrast beautifully with the elegant, strap which completes the vintage feel.